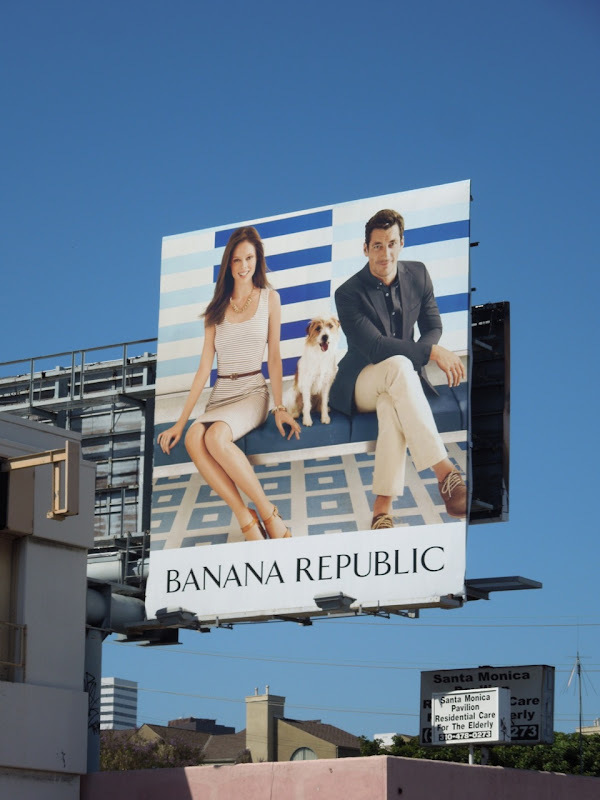 There's something wonderfully relaxed and light about this year's Banana Republic Summer campaign, which is a collaboration with fashion and home furnishing designer Trina Turk. 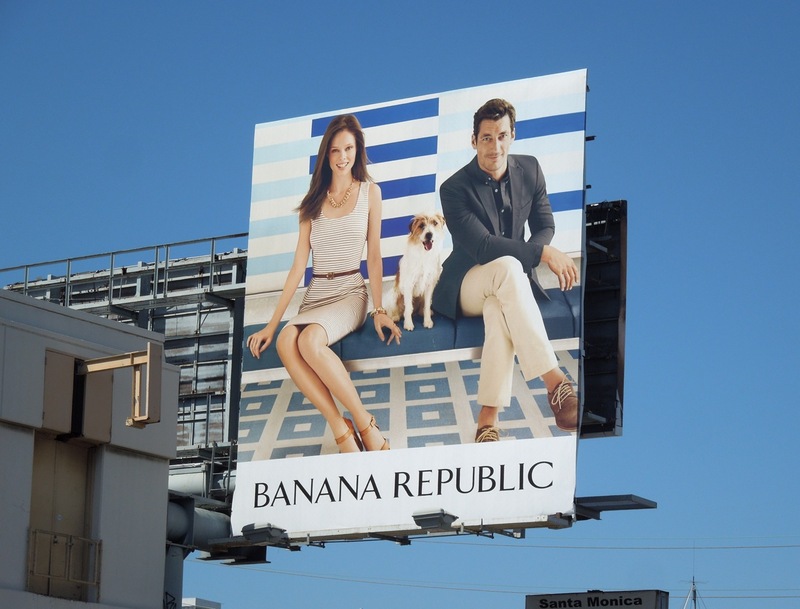 Maybe it's because the models, Coco Rocha and David Gandy, look so happy or it could be because there's a cute dog in one of the creatives (Daily Billboard is a sucker for a cute puppy face) that makes these ads so appealing. 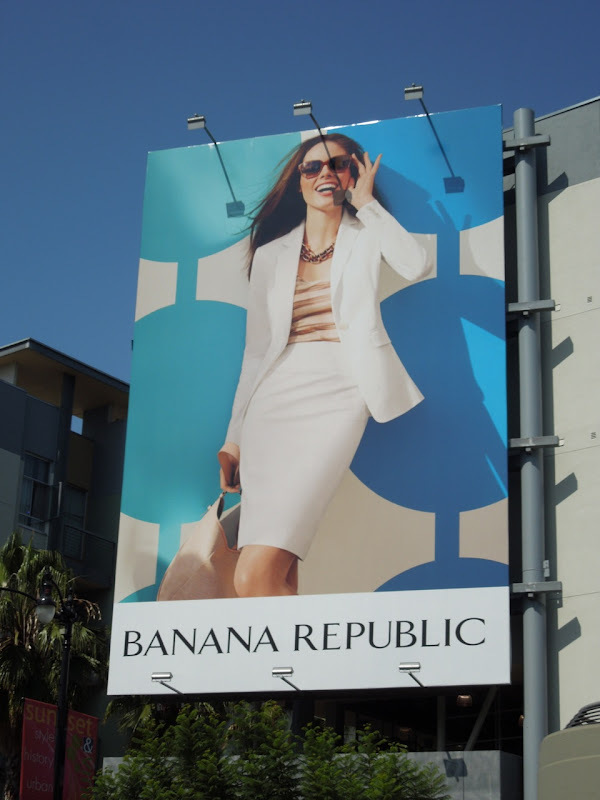 Although it may have more to do with the great colours and fun prints on display too. 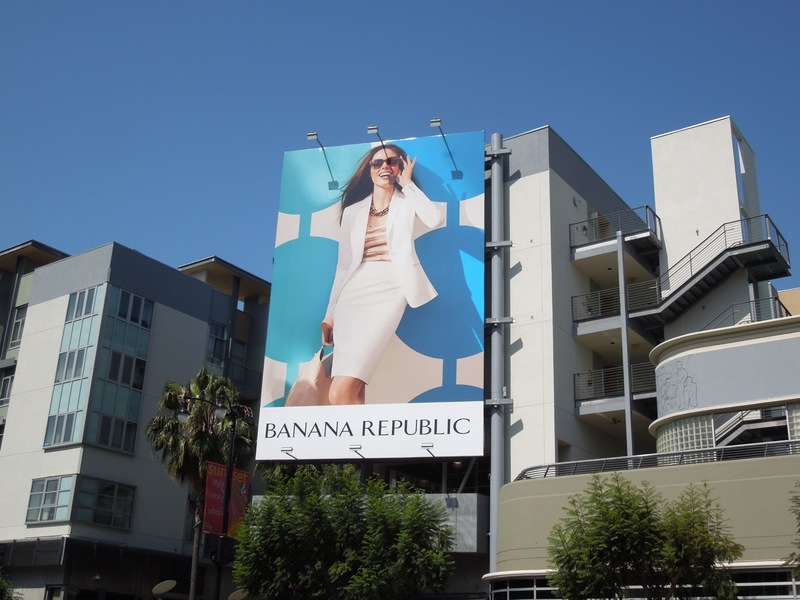 The 'canine' creative was snapped along Santa Monica Boulevard in West L.A. on June 6, whilst the sofa version was snapped along Sunset Boulevard in West Hollywood on May 22, with the large sunglasses billboard was spied at Sunset & Vine on June 1, 2012. 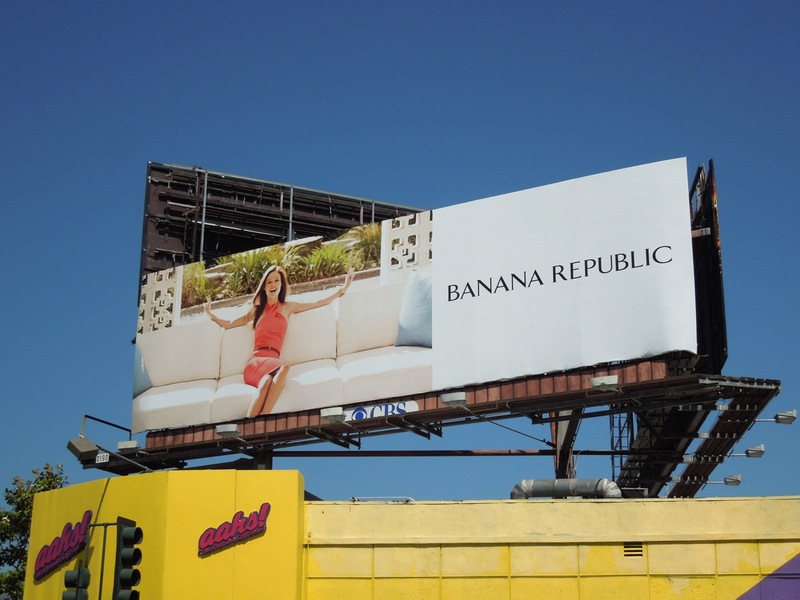 If you like these billboards, be sure to check out last year's Banana Republic Journey in Style ad campaign, plus the fashion brand's Mad Men Limited Edition Collection billboards.